Signs 'R' Us Ltd is a well established Sign and Graphics company based in Evesham, Worcestershire. 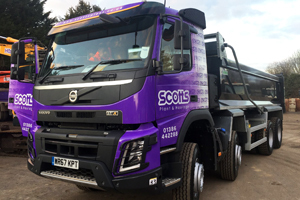 We have been supplying Vehicle Liveries, all types of Signage and high quality banners for almost 20 years. Our business has continually grown over the years. So much so that in 2007, Vehicle and Fleet Graphics (VehicleandfleetGraphics.com) became the Vehicle Livery Division of Signs 'R' Us Ltd. 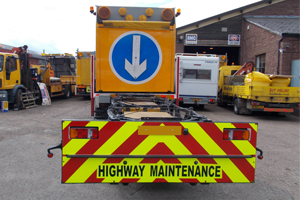 In 2009, Chapter 8 Highways became the specialised Division of Signs 'R' Us Ltd for Vehicle conspicuity and Chapter 8 Specifications (Chapter8highways.co.uk). Each Division has it's own dedicated website. Please follow the links to visit the desired sites. We are happy to be Associated with many blue chip companies such as Sky sports, BBC tv, ITV, Fraikin, Amey and Carillion to name just a few. A company’s image is one of the most important assets that it can invest in, to help attract new clients and keep existing customers. Whether a large or small business, retail or industrial, your company’s image is of upmost importance. We can help you achieve the image you want, by producing the correct signage and/or Livery for your business, to help you stand out from the crowd. The company continues to expand, and learn. In order to supply the quality and service that has become expected from Signs 'R' Us Ltd. We pride ourselves in the quality of the service that we provide to our customers and have expert design, production and fitting teams complimenting our customers requirements. We specialise in high quality Banners, supplying many major sporting events across the country including World Championship Boxing, The Seni Show and Masters Football. Orders and enquiries can be made by Email, Post, Fax or Phone. From here our staff will set to work providing our customers with an efficient and effective creation process this includes full examples of design, price and if necessary materials. Delivery can be made either by ourselves or by a major national or international carrier which guarantees next working day delivery. Vehicle Wrapping has become ever more popular in recent years as it's proven to be a highly effective way of promoting your business. At Vehicle and Fleet Graphics we specialise in producing and fitting full Vehicle Wraps that will get your business noticed. Whether car, van, truck, or bike, we can turn your vehicle into a professional mobile advertisement of your company.